It was a dark and stormy night. (Really, it was!) 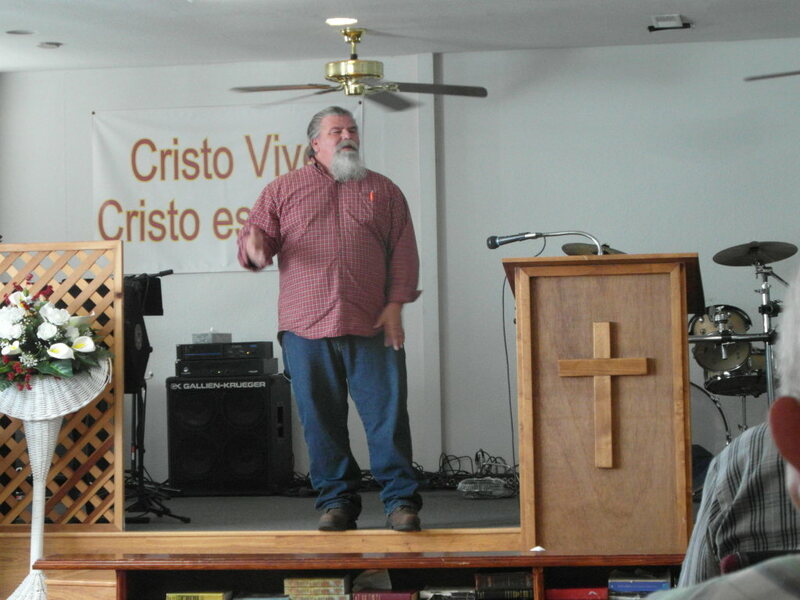 I had already attended a worship service at the Christ Has Risen Ministries at 1225 Pasado Rd. in Olivehurst a few weeks previously, and now I was driving through a December storm to attend a weeknight Bible study. I had told my brother, Greg, about my earlier visit, and he informed me that he and the pastor used to run around together years ago. My brother also told me that his ex-sister-in-law, Deedee, attends the church. I wanted to speak to both of them before writing this post for my blog and thought that a weeknight would be a good time to do so. Since the weather was so bad, and it was a Tuesday night, I fully expected the Bible study to be sparsely attended. 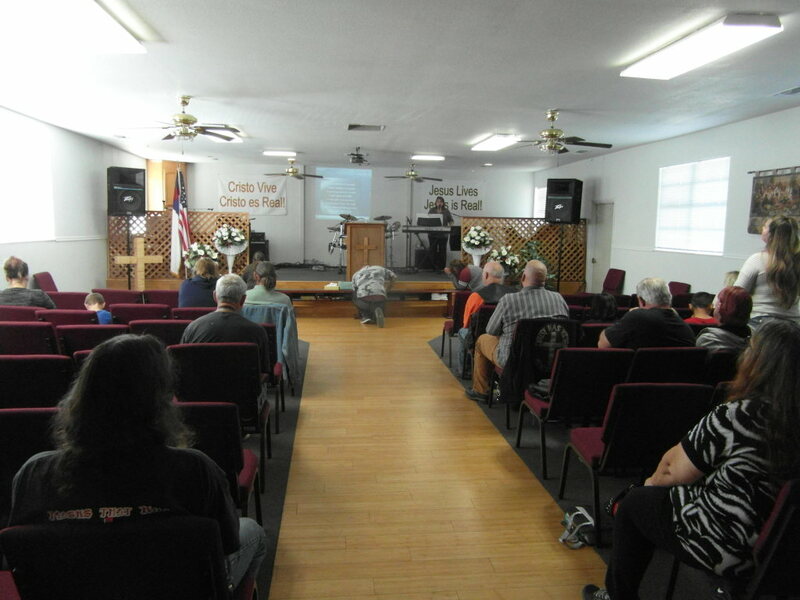 Much to my surprise, there were quite a few cars in the parking lot and when I walked into the sanctuary there were around forty people, young and old, inside the church listening to their pastor, Leonard Self, lead the Bible study. If he would let his beard grow longer and bleach it, Pastor Leonard, with his stocky build and joyful countenance, could probably get gigs as Santa Claus during the Christmas season. When I first entered Christ Has Risen Ministries and sat down to listen, I was quickly impressed by his sincerity, especially when his voice quivered and his eyes teared up when he spoke about his love for Jesus and how the spirit of God set him free. “When you step into Christ, you’re a new creation…Christianity isn’t for wimps, but God uses wimps…If you think Christianity is easy, you’re wrong!” were just some of the memorable words I had heard from the pastor on my first visit to his church. However, when he explained to the congregation about how, when people accuse him of using Christianity as a crutch, he responds, “No, it’s not a crutch, it’s a stretcher, it saved my life”, I knew that his was a changed life, a life now dedicated to helping others. As I sat near the back of the church on my return visit I could hear the wind rattle the doors on that blustery night as I surveyed the congregation. I saw a Native American woman, about my age, and knew she must be Deedee. 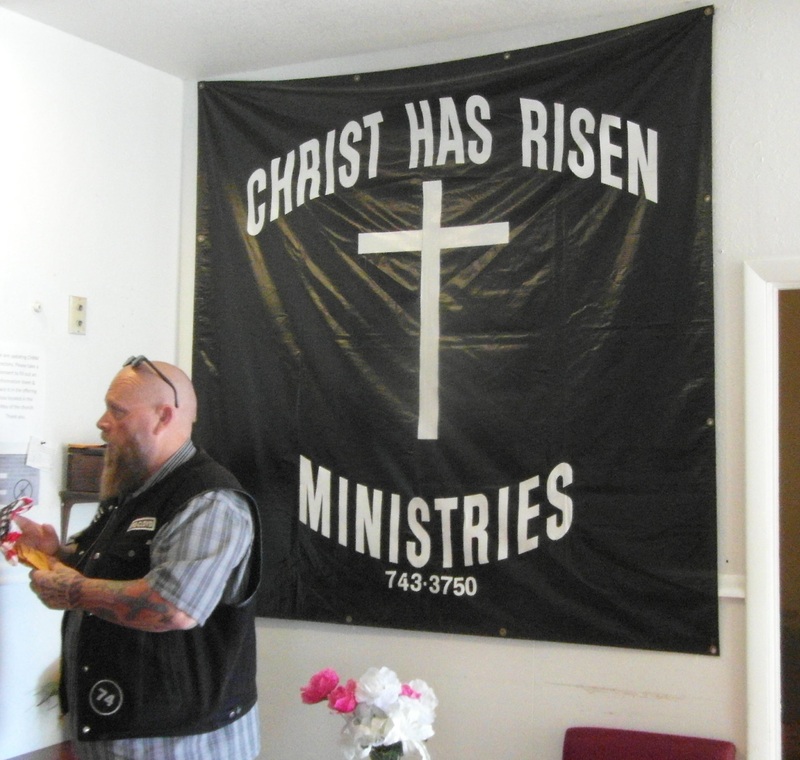 I saw bikers wearing leather jackets with the words “Christ Has Risen Ministries” embroidered on the back. I sensed that this was a congregation that had weathered many personal storms in their lives and you could see it on their faces. But they had found a place of refuge. As the testimonies and personal stories continued, Pastor Leonard reminded the group that they were a family, and that families look out for one another and that people could share their troubles and triumphs because everything stayed in this room. When the study was over I approached the Native American woman and confirmed that she was Deedee. She introduced me to her husband and children and we talked briefly about my brother. I then talked to Pastor Leonard and told him that my brother was an old buddy of his. We also talked briefly about my blog and I told him I had just written a post about Alicia Intermediate School, which used to stand across the street. We spoke about Peter, my fellow sixth-grader, who had stood up for me in the boys’ bathroom many years ago. “Peter lives a few blocks from here,” Pastor Leonard informed me. “That’s good to know”, I said, thanking Leonard and making a mental note to look up Peter some time. I held tightly to the doorknob as I opened the door to exit the church and then walked across the street to my car. 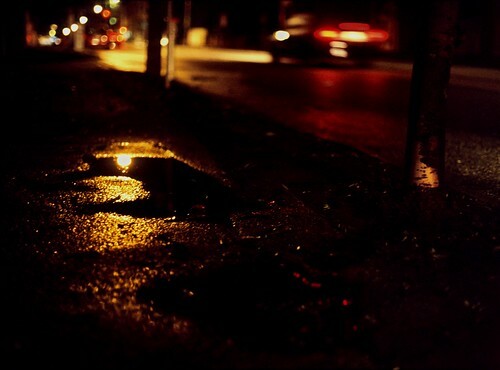 I zipped my jacket tighter to protect me from the wind as I stood there and watched the taillights of the cars that were leaving and I wondered about the lives that must have been changed in that church across the street. Theologically, I still have issues with certain aspects of traditional Christianity, but it’s hard to argue against the miracle of a changed life. Previous PostHugged by GodNext PostHow big is your God? Thank you for the great Bible quote Bento. That’s one of the beauties of coming back to my hometown. I get to see how people have and do change through the power of the Holy Spirit. Great to hear of your encounters with all kinds of people whom God has reached and touched in very personal ways. Yes Kevin, it’s been a good experience visiting various places of worship. I’m thinking of expanding my visits to include personal interviews with pastors, etc. That way I can find out even more about their personal journeys. ” making all things new”. Glad you loved this post. The miracle of a changed life is quite amazing. Thank you for following my blog.